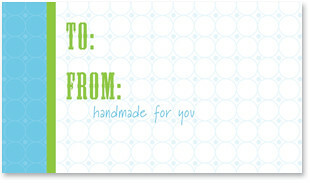 gift_tags.jpg, originally uploaded by tinkerellen. jsut click on the tag and it will bring you to my flickr account, then you can choose the letter-size print-ready page of tags uploaded for you! just download, print and cut. i'm planning on punching a hole in the left center there and attaching them with blue and green ribbon....enjoy! Cute! Thanks for posting these!